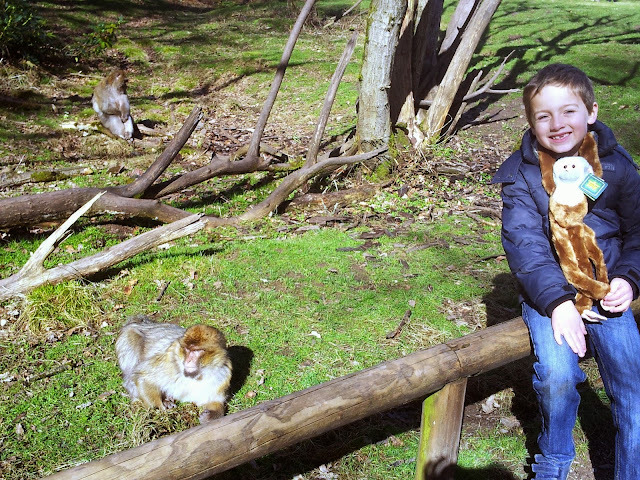 If you want to get closer to monkeys you have to visit this attraction, its perfect to combine fresh air with meeting inquisitive monkeys, watching them go about their day to day lives as you walk along the woodland ¾ of a mile pathway is a completely unique experience and one we have fond memories of. Take lots of pictures the monkeys seem happy to pose for the camera and with 140 monkeys here you know you will have plenty of photo opportunities. The freely roaming Barbary macaques seem quite peaceful; you can get quite close to them and its lovely when you see them carrying their tiny little babies. It is so cute and precious being able to see the younger monkeys clinging on to their mums. The young monkeys are very playful too, so expect lots of fighting, wrestling and cheeky antics from them. They are entertaining. Try and time your visit to coincide with one of the hourly feeding slots as its fun seeing the monkeys in a big group try and get at the food. It’s quite educational too as you learn lots more about them. There is also lots of information on boards as you walk round, so you leave knowing so much more about these lovely monkeys. 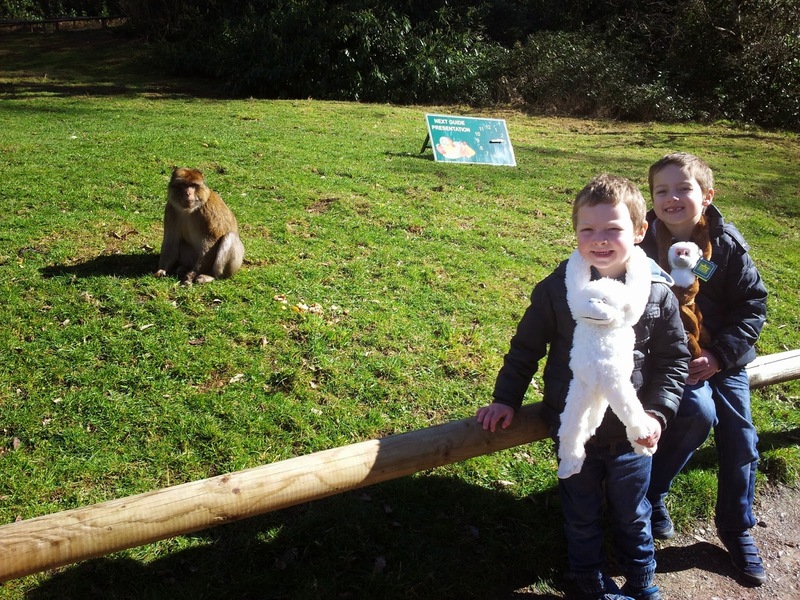 If you head to Staffordshire for attractions like Alton Towers take the time to squeeze in a visit here, its worthwhile letting your children learn more about the Barbary macaques and its good to support the work of Trentham Monkey Forest trying to help with conservation. After the walk there is a lovely café and park for the children to play. We had cream scones and they were delicious. The boys were treated to monkey soft toys as well to remind them of their monkey friends from the Trentham Monkey Forest Walk. You leave having tried something different and knowing you have helped with the conservation efforts for endangered wild Barbary macaques. We visited in 2014, so should come back soon.